The Dunkeld Arboretum showcases a living collection of the world's trees. 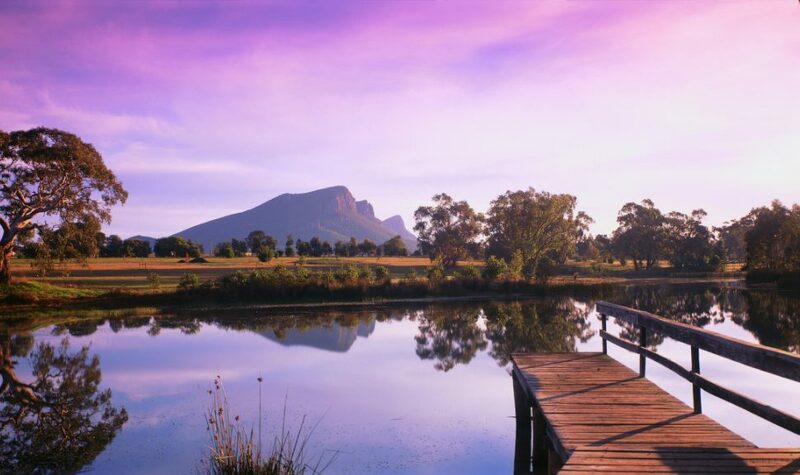 Set in a dramatic and beautiful recreation precinct at the base of the Grampians National Park, the Arboretum provides visitors with a truly unique experience. The Arboretum is home to a labyrinth and Old Sawmill, as well as a walking track and picnic facilities. Experience the beauty and history of this magnificent 18 hectare Arboretum. Facilities include: Picnic facilities, Walking track.